Hollywood TV interviews Josh Holloday and other stars of Colony at Comic Con, regarding Season 3. Colony is an American science-fiction drama television series created by Carlton Cuse and Ryan J. Condal, starring Josh Holloway and Sarah Wayne Callies that is broadcast initially on USA Network. 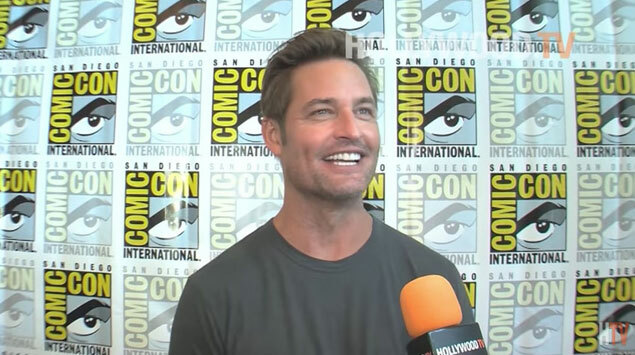 The photo of Josh Holloway captures an interview video frame, and is an example of the good work done by Hollywood.TV, which is a good source for understanding and researching the entertainment scene, Hollywood, and stars, etc.